Your first race is here and you are freaking out. The swim is now calling for no wetsuits, it’s very warm outside and you don’t think you’ll be able to finish. 1. Everything will be ok. Just breathe and think to yourself, you put in your hours of training, you know what to do, so stop, look around and enjoy how far you have come. 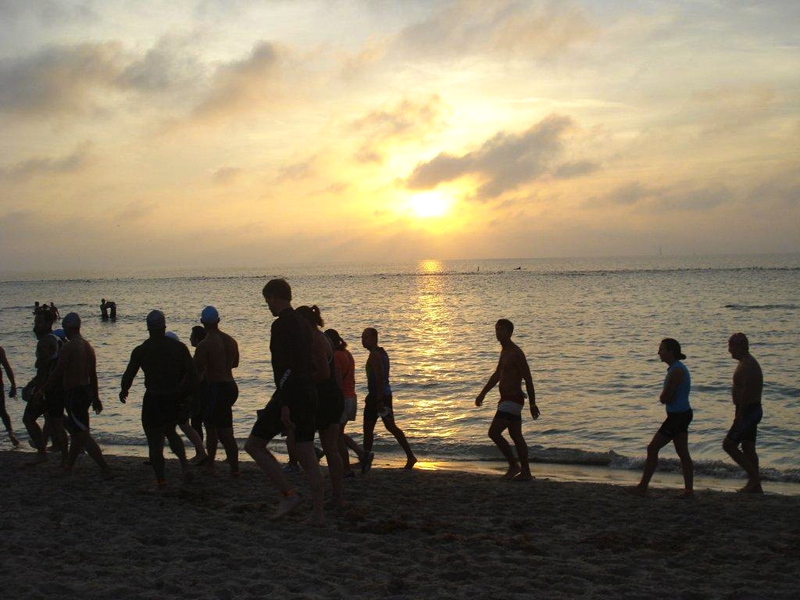 You are about to race your first triathlon and accomplish a major goal! 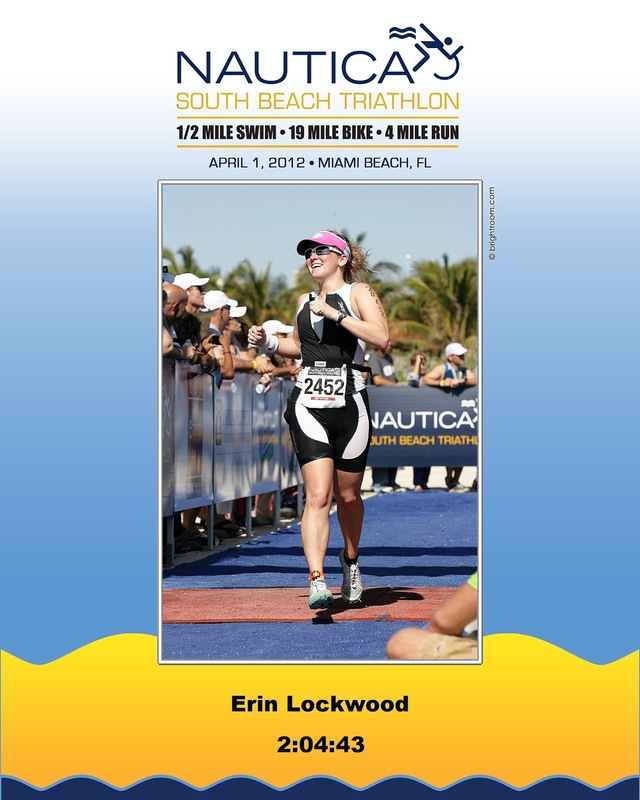 At my first race, the wind was whipping the day before at 20 mph and the ocean was rough (yes I swam in the ocean, ie salt water) However come race day, the wind had stopped the waters were calm and it was the perfect swimming conditions. I may not have swum in a wetsuit for my first race, but I still survived. 2. If you have the opportunity, walk the transition area the day before. If you have to leave your bike overnight, do not freak out, people are there to watch it overnight, but I do recommend reading by things to do and to avoid while in transition to help you prepare and ease your mind. By walking the area, you can familiarize yourself with it, tell your loved ones where you will be racking your bike and see if there will be bike techs nearby in the event you need them. My first race I felt like I had no clue what I was doing. I brought in a boatload of crap and didn’t really walk the transition area. This messed me up come race day because I couldn’t find my bike spot. 3. If you shipped your bike, get everything sorted out with those guys to make sure your bike is in tip-top shape, ie. nothing happened during travel. Nothing could be as worse as my first race travel wise. I was told by my bike shop I could bring my bike on a plane in a box. So I put my bike in box and we go to the airport the day before the race (we liked to cut it close apparently) I get to the counter and I am told my box is too big! Mind you it was spring break and the airport was packed and I waited in line for a solid 30-45 minutes. I am told I can’t bring the bike on the plane unless the box is cut down. I start crying, where are we going to find scissors? A baggage handler helped me cut the box down, tape it back up and personally walked us through security, went and got my bike to make sure it made the flight and put us on the plane. We made the flight with 10 minutes to spare. On the way home, I decided to give it to the shipping people but they were nice enough to look at my bike and make sure it was ok the day before since I just went through this ordeal with the airline. So remember, IT COULD BE WORSE. 4. Buy some goodies! Remember this is your first race and you want to savor the moments. So buy a finishers t-shirt if they are selling them. Be proud and have fun. This is my favorite part because there are so many cool things to buy. However, I wouldn’t let me wear it until I finished the race. Didn’t want to jinx anything. 5. Get in a good meal and a good nights rest. Try to go to bed early. Your nerves will probably be all over the place that you may not sleep well but try. I eat my go to meal the night before a race and try to sleep. I always have dreams about missing the race, transition closing, etc. It’s normal. 6. Then come race day, get excited take pictures, and watch the first waves go off, it will help ease the nerves because other people are in the water before you. Then enjoy the ride, look around on the bike, thank the volunteers and smile when you cross the finish line with your hands in the air! Once I was on the bike, I just looked around at what I was doing and enjoyed the process. When I was crossing the finish line, I couldn’t believe what I just did and I threw my hands in the air! Remember this is your moment so take it! All in all, have fun and if you need more ease in your life, check out my don’t forget list below!